San Francisco Art & Film's 25th Anniversary Benefit! For 25 years it has been the mission of San Francisco Art & Film for Teenagers to make the arts a vital part of young people's lives. Join is in celebrating the last 25 years and help us prepare for the next 25! 6 - 8 Live music, cocktails, small plates, films and performances outside on the terrace overlooking the bay. 8PM Join us in the theater for a special performance by the great jazz vocalist Paula West! This screening is generously sponsored by Robert Walker & Ernest Phinney. We begin the year with a film that set the standard for American movie-making for a decade. What begins as a chronicle of an Italian Mafia crime family becomes a social epic about the values that distort and destroy America. Simply one of the greatest American films! Francis Ford Coppola is one the most important American directors of the 70’s—and these two films (along with Apocalypse Now) are considered his masterpieces. He is among the first generation of directors spawned by American film schools at NYU, UCLA and USC (Lucas and Scorsese are others). In the 60’s he began as one of schlock producer Roger Corman’s wonder boys, rising through the ranks to the point where he had enough clout to make these films. His zenith as a filmmaker climaxed with the epic undertaking of the Vietnam War film, Apocalypse Now. We're starting a year of Art Saturdays with a bang! A full day of the greatest silent films, screened at the majestic Castro Theater with live music provided by the Club Foot Orchestra! Founded in 1983 by Richard Marriott, Club Foot Orchestra (named after a nightclub in San Francisco's Bayview), was a pioneer in creating modern music for silent film. Join us at the Castro Theater at 2:45PM for Robert Wiene's THE CABINET OF DR. CALIGARI, Fritz Lang's METROPOLIS, and F.W. Murnau's NOSFERATU. We'll provide dinner! This tale of a mad scientist who steals dreams from children has uncanny visual power. It’s also got cloning, circus freaks, and mind-control fleas. A favorite of Cine Club audiences for two decades! You’ll love it! Together, Jeunet and Caro developed a style that is as singular as any in film (other directors we feature who would qualify as outstanding visual mavericks include Terry Gillian, the Quay Bros, Peter Greenaway, and Wes Anderson) and their films have a free-wheeling, no-holds-barred quality that will widen your idea what filmmaking can do. Their influences are from surrealism and German Expressionism, and much of their imagery from dreams. Their sense of what’s possible in film will stretch the boundaries of your imagination and their dark sense of humor will have you in stitches. As a duo, Jean Pierre Jeunet and Marc Caro appeared on the film scene with Delicatessen, a bizarre comedy about a cannibal butcher who finds a way to feed a starving community. Juenet has also directed on his own, including the the highly popular Amelie, as well as A Very Long Engagement and The Remarkable Journey. This screening is generously sponsored by Cristina Miyar. One of the most influential American writers, James Baldwin, examines the history of racism in America using the assassinations of three close friends, Medgar Evers, Malcolm X, and Martin Luther King, Jr, as examples. Baldwin’s powerful voice makes this vivid, emotional documentary a truly singular experience. We are showing a number of films this year that confront the ugliness of our nation’s racism head on (including Mudbound-Nov 16 and Detroit-Feb 12). We're starting with this exceptional documentary that will give you some context to better understand these films. Taken from the notes of a book he never published, Remember This House, this film is a gripping description of his grappling with the news that three important civil-rights leaders he knew had been murdered—Medgar Evers, Martin Luther King and Malcom X. It’s one of the most vital documents made about our country. It’s time for all of us to face some of the ugliest realities of our past. You won’t easily forget this powerful film. Raul Peck is Haitian filmmaker with a remarkable un-director-like background. In the 90’s he was Haiti’s Minister of Culture. In the 80’s he studied engineering in both Brooklyn and France. He spent a year as a New York City taxi driver, and as a journalist and photographer before earning a film degree in Berlin. He’s currently working on a film about the friendship between Karl Max and Engels. 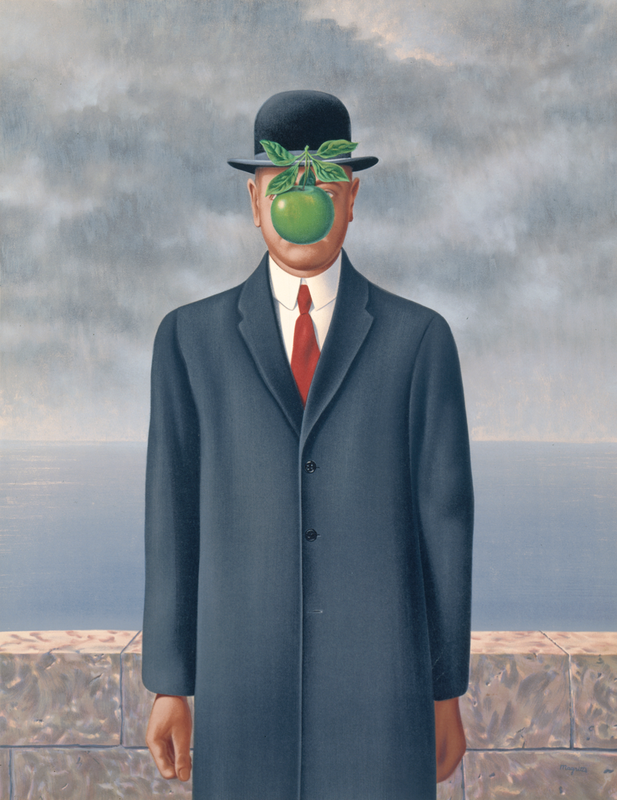 11:15 Tour the very popular René Magritte: The Fifth Season exhibit at SFMOMA. Here is a large-scale show focusing on the enigmatic artist's later works which include many of his most famous images. Rarely do you get to see so many works from such an iconic artist. Don't miss it! 1:00 pm We'll walk across the street for a lovely picnic lunch in Yerba Buena Gardens!